Well hello there! First I've got to apologise for the brief hiatus- I've been on holiday down in Queenstown for the past week or so having the best time of my life, it is seriously gorgeous down there. I thought I'd break my silence with this little gem that has come highly recommended by many different people, including the gorgeous Shaaanxo on Youtube. 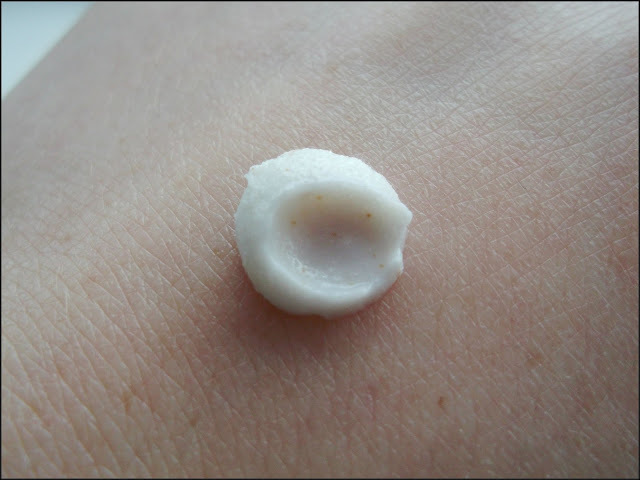 Now I've been having serious troubles with dry skin around my t-zone for the past year or so, and tried a lot of different moisturisers, serums, scrubs and oils to try and combat the flaky dry patches that makeup doesn't hide. None of these products did much at all to rid me of the dryness, until I started using this tropical fruit scrub by Michael Todd True Organics. This is the first product I've tried from this company, and am seriously impressed by both the affordability and the results you get. 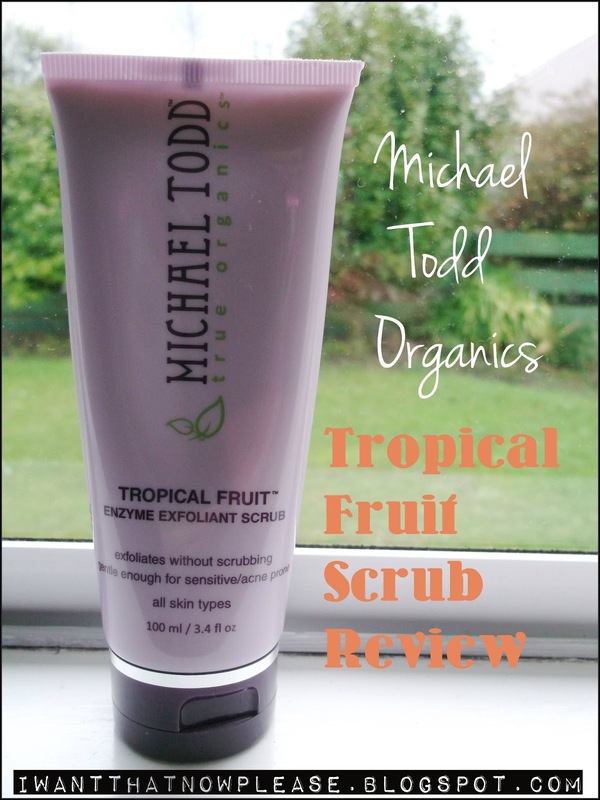 This scrub can be used on all skin types, but is especially good on dry skin. 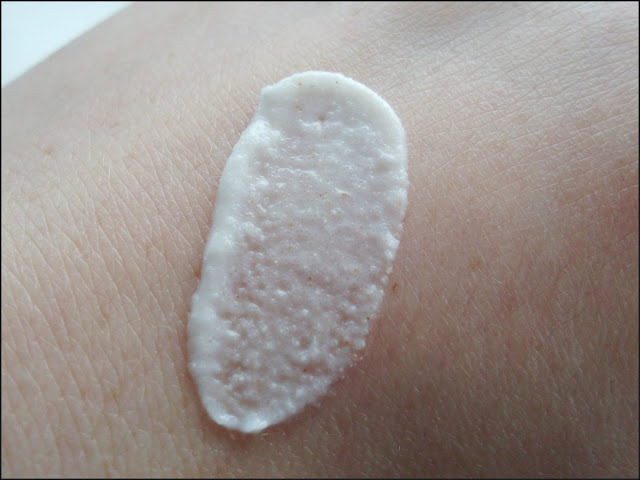 The texture of the scrub is very creamy and instead of harsh exfoliating beads, it feels more like a fine grain which is a lot more gentle on the skin. 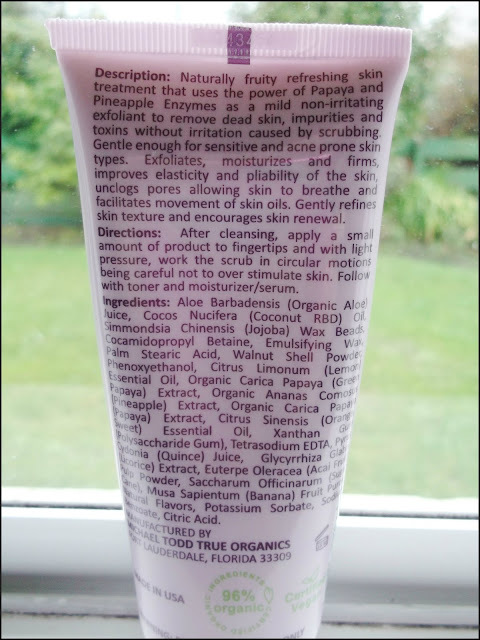 I find that you only need the tiniest amount of product to exfoliate the whole face, so it means the 100ml scrub will last me a long time which I like a lot. Now on to what I think is the best feature of the scrub (apart from the fact it actually works)....the smell. Oh my gosh. The SMELL. It is absolutely incredible. Like a tropical sugary explosion on your face. I think it actually smells like skittles. I've been using the scrub every night after cleansing thoroughly for about a week to start off with (I'll use it less often once my dry patches are gone) and have seen a dramatic reduction in the flakier areas of my skin. My face feels baby smooth and my pores look smaller, and I find that makeup just sits better on my face and the dry patches are no where near as noticeable. And this is after only using it for a week! Overall I'm a very happy girl indeed! Btw- I've found to get the best results from this scrub you should leave it to skin on the skin for a minute or so and then scrub gently into the skin and wash away. PRICE $18USD - so converts to around $23NZD at current rates. AVAILABLITY I bought mine off the Michael Todd True Organics Website. They have affordable international shipping which includes tracking. Have you tried this scrub and liked the results? 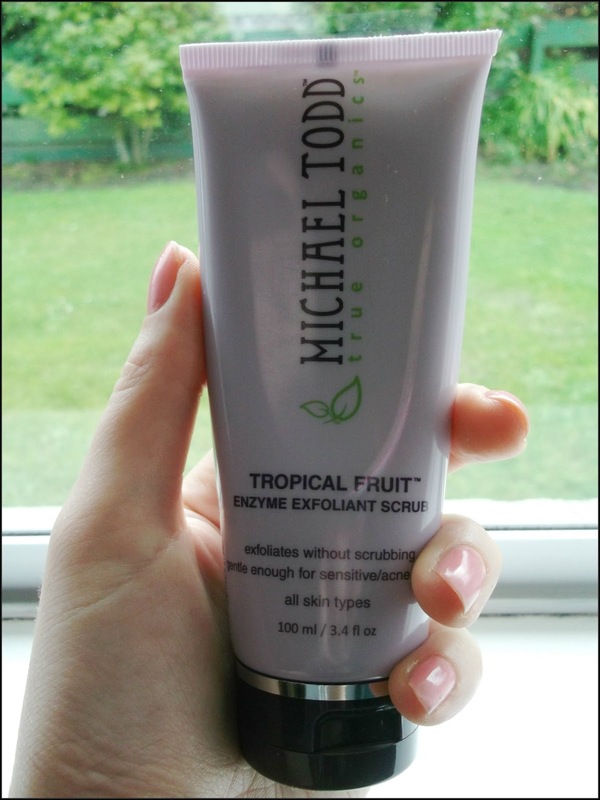 Any other Michael Todd products that are worth a try? Please share in the comments!